Choosing the perfect outfits for your high school senior portrait session is kind of a big deal. After all, what you wear is an expression of who you are. But, it’s not as daunting as it might seem if you follow a few simple guidelines. 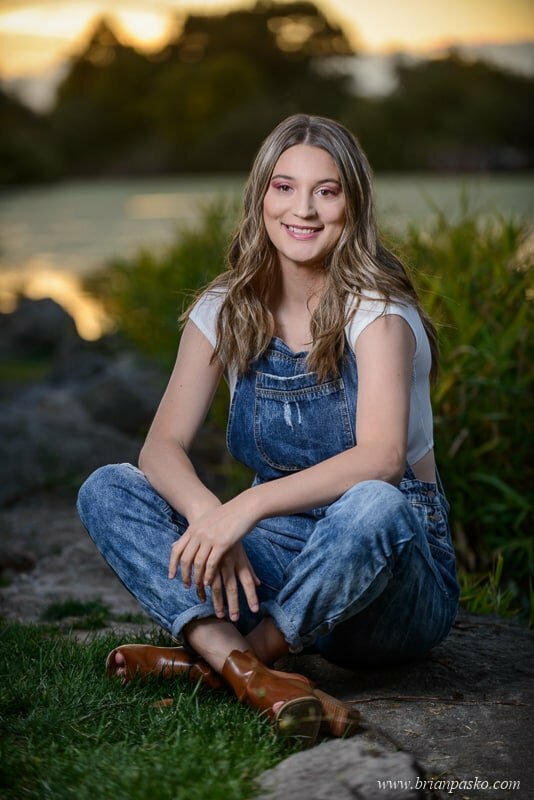 First, I encourage you to bring multiple outfits to your senior portrait session to show the many different sides of you—something dressy, something casual, and maybe even something a bit in between. Bring a mix of dresses, shirts, and pants so that we aren’t limited in the types of poses we can try. What if you can’t decide? No problem! Bring them all and we’ll mix and match and figure it out together at the shoot! Sometimes arriving on location will give you a whole new perspective about what colors and styles best fit the scene for your senior pictures. Do you and your parents disagree about which outfits you should wear for your high school senior portrait session? Bring them both! Choose an outfit that you love and one that your parent’s love. That way, everybody’s happy! And, parents often have a more classic taste. This will actually help you in the long run because something that is trendy now will likely go out of style as the years go by. When selecting outfits for your high school senior portrait session, choose clothing that reflects your personality and sense of style. Take some time to develop a vision for your shoot. I highly recommend flipping through fashion magazines, perusing Pinterest and checking out in-the-know blogs for inspiration for your high school senior portraits. And don’t forget: from head to toe, details matter! Thoughtfully select the perfect shoes, accessories, jewelry and even layering details when putting together your outfits. Dressing in layers is a great way to get the most out of your senior portrait session. This will help to give you a different look without having to do an entire outfit change. Adding a vest, jacket, or fashion scarf will effortlessly give you a whole new look. When choosing colors, remember that lighter colors tend to accentuate weight, while darker colors have a more slimming effect. Try to select colors that will not clash with each other or the season. Do you remember the color wheel from elementary school? If not, a quick google search for “color wheel” will lead you to some great tools for selecting complementary and analogous colors you can incorporate into your high school senior portrait outfits and accessories. Once you have your ensembles selected, take some quick snapshots of yourself and ask others (or me!) for their thoughts and opinions. From there, you can make any adjustments or narrow down your selections. 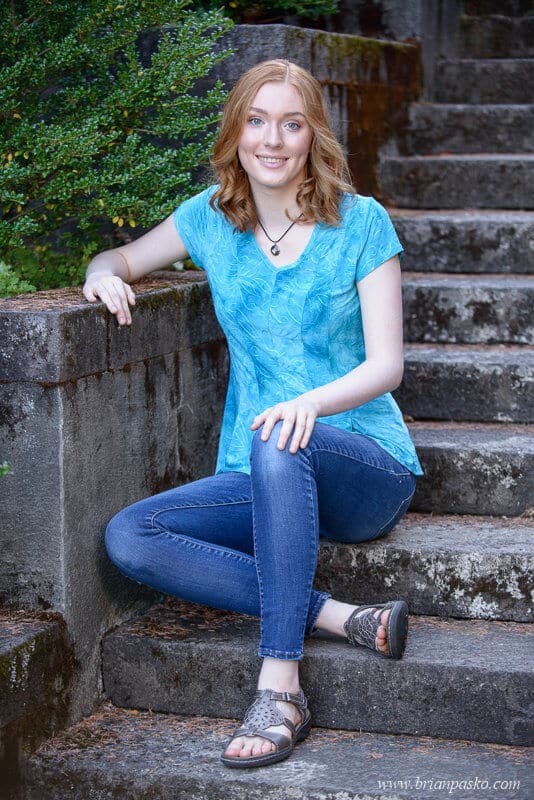 Are you looking for more tips to make the most of your high school senior portraits? Click here to learn about pre-session outfit consultations that are included with all of my high school senior portrait sessions!